I live next door to wonderful people. Mr. and Mrs. D have been happily married for almost fifty years and raised three children in a small house. They came over to meet each of my sons within hours of us arriving home from the hospital with them. They're great people, inside and out. Mrs. D and I chat across the fence in our backyards; she puts birdseed in her feeders while I hang clothes on the line. "How was your night, Mrs. D? Did you get any sleep?" "No, not really. Mr. D was having trouble getting comfortable so we were up from 2am. How about you? Is the little one still teething and keeping you up?" Our conversations are usually only seconds long because our loved ones needed us quickly back inside, but we relate and chat about how we are doing and our plans for the day. She takes Mr. D for his drive to the water - and I take my older two to school. She speaks about bringing Mr. D to a doctor's appointment, and I tell her that we are heading to the dentist. We are two people talking about our lives and our loved ones. Two women sharing the duties of caring for other people. Two mothers sharing our families' stories. We both realize we are in opposite places in our lives. I am caring for people hitting their "firsts": first steps, first days of school, first loose tooth. She is caring for someone with "lasts": she spoke about her plans to take him camping at the beach and to take him to a cabin in Lake George. She knows these moments are limited, and that each one might be his last. Mr. D passed away this week, and we are helping Mrs. D with her loss. Mrs. D says she is thankful for his life, their life together, and for the children they've raised. She has set a wonderful example of how warm and caring a human, a woman, a mother can be. Mothers help guide and nurture their little ones but mothers also need guidance and nurturing, too. 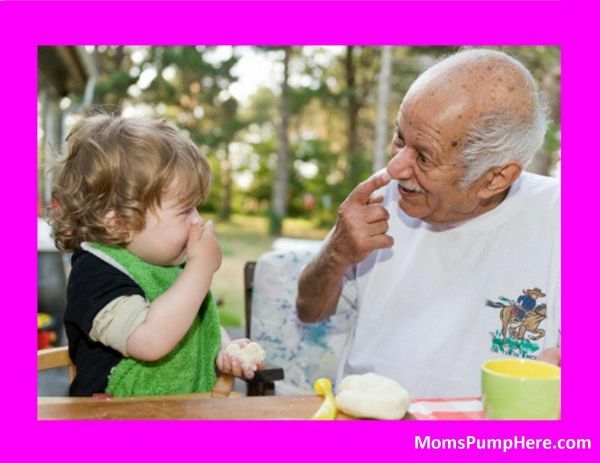 It's my hope that MomsPumpHere can help moms who need guidance, support, love and nurturing. We - as mothers - need role models like Mrs. D.